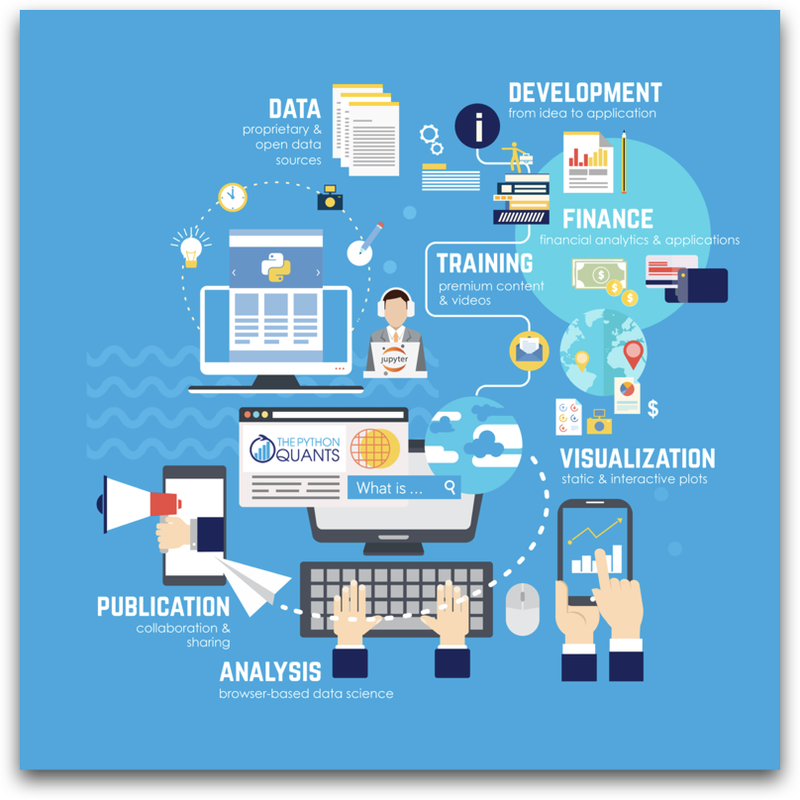 "There is currently much excitement about the application of Python to Quant Finance in both academia and the financial markets. Yves' monumental undertaking guides the reader through the mathematical and numerical aspects of derivative valuation with programming in Python, in an expert and pedagogical manner. I will be making his publication the standard text for all my Computational Finance courses." Dr Riaz Ahmad — Fitch Learning and Dept. of Mathematics, University College London​. "Another excellent offering from Dr. Hilpisch. This book has a very good coverage of derivatives analytics and their implementations in Python." Alain Ledon — Adjunct Professor, Baruch Master in Financial Engineering. "A thorough overview of the state of the art in equity derivatives pricing and how to apply it using Python, with an implementor's eye to detail." Dr Mark Higgins — CEO, Washington Square Technologies, former co-head of Quantitative Research for JPMorgan's Investment Bank. "A must read for any practitioner who is serious about implementing Python across their derivatives platform. Dr Hilpisch excels at simplifying complex state-of-the-art techniques for both the pricing and hedging of derivatives in Python that both operators and academics will appreciate." Bryan Wisk — Founder and CIO, Asymmetric Return Capital, LLC. 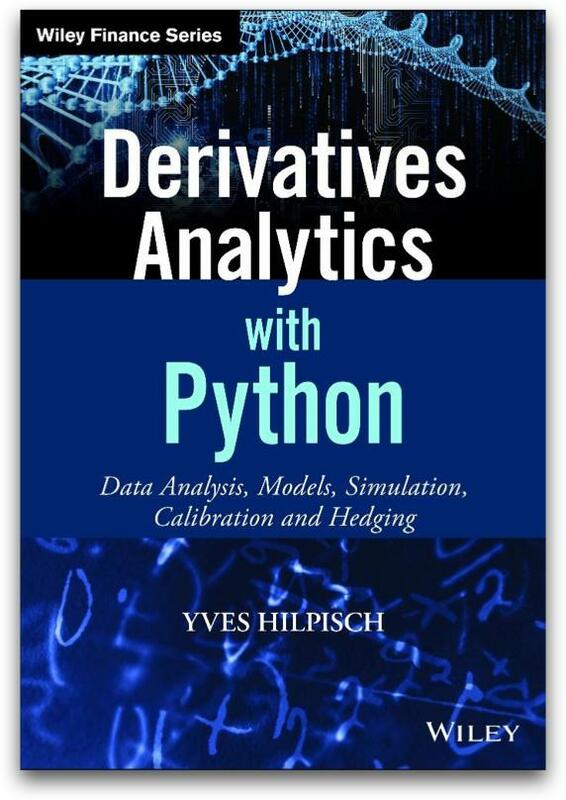 Yves is also author of the books Python for Finance — Analyze Big Financial Data (O'Reilly, 2014) and Listed Volatility and Variance Derivatives (Wiley, 2016). As a graduate in Business Administration with a Dr.rer.pol. 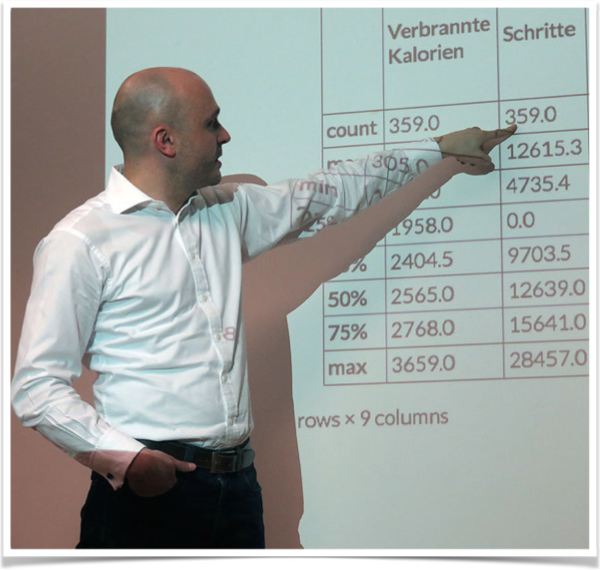 in Mathematical Finance, he lectures on Computational Finance at the CQF Program and on Data Science at the htw saar University of Applied Sciences. Below you find a brief tutorial explaining how to register and how to use the IPython/Jupyter Notebooks and all Python code files on the Quant Platform. All Jupyter Notebooks and all Python code files for easy cloning and local usage. Make sure to have a comprehensive scientific Python installation (2.7.x) ready. 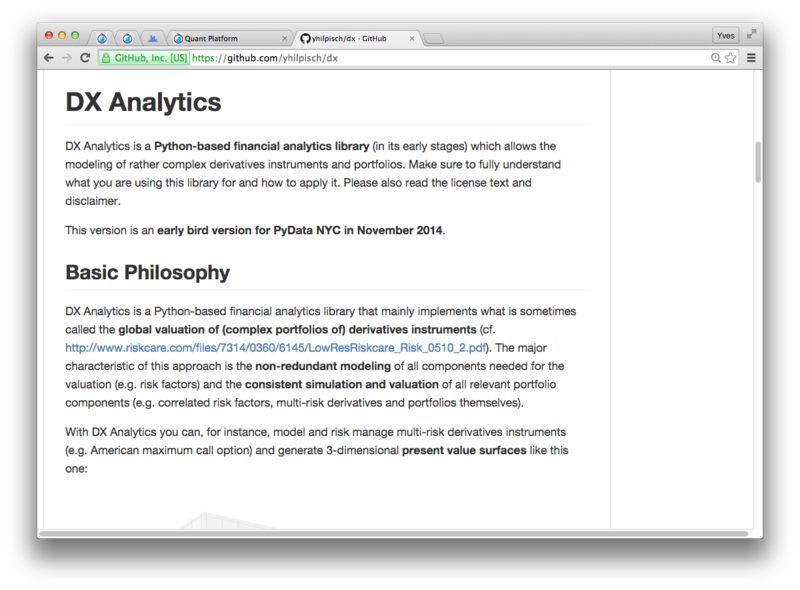 DX Analytics is a purely Python-based derivatives and risk analytics library which implements all models and approaches presented in the book (e.g. stochastic volatility & jump-diffusion models, Fourier-based option pricing, least-squares Monte Carlo simulation, numerical Greeks) on the basis of a unified API. Write me under dawp@tpq.io. 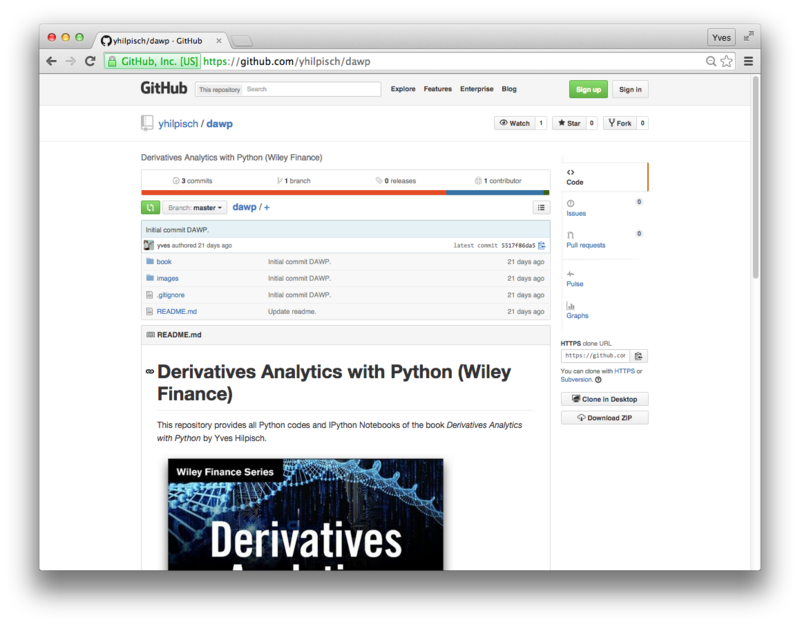 Stay informed about the latest in Open Source for Quant Finance by signing up below.